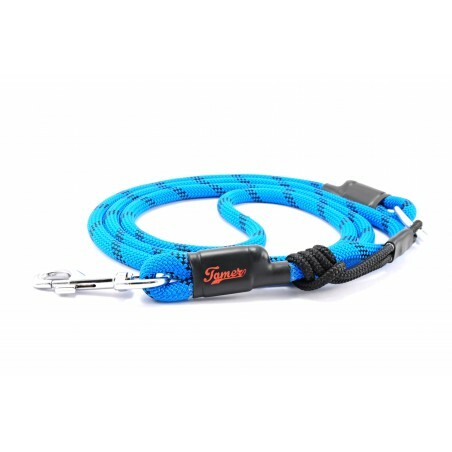 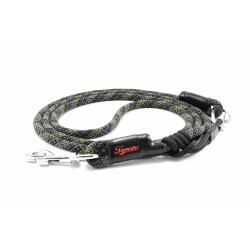 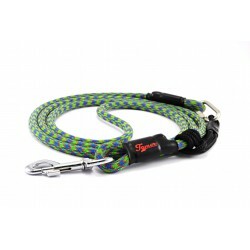 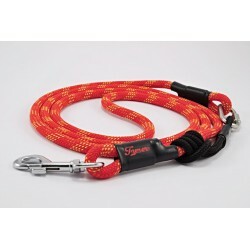 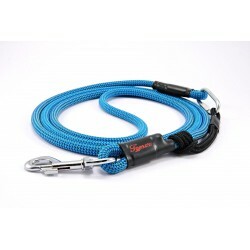 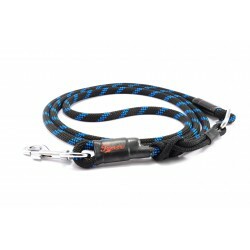 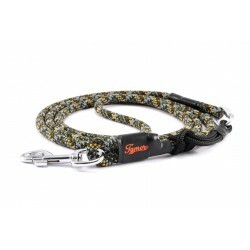 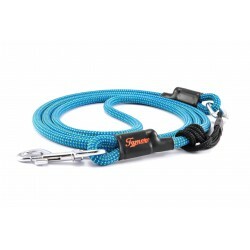 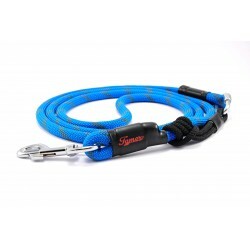 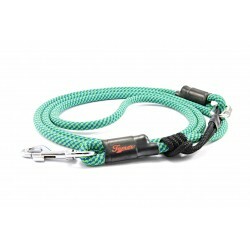 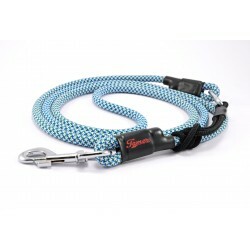 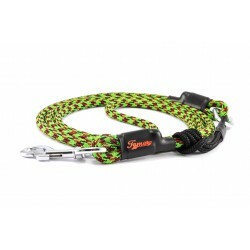 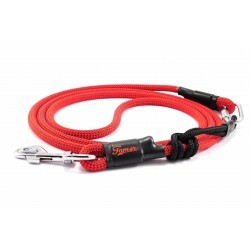 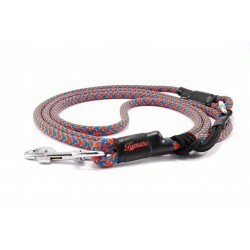 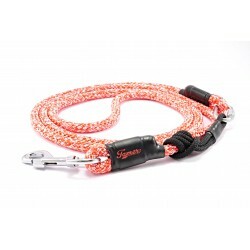 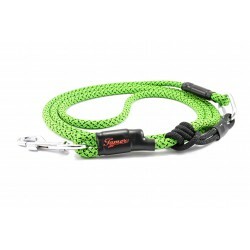 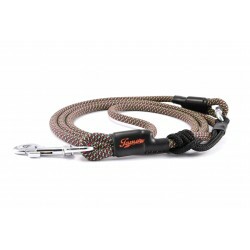 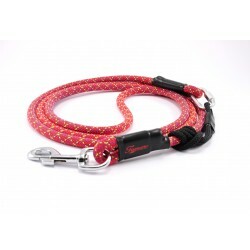 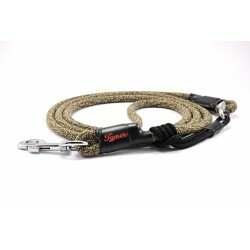 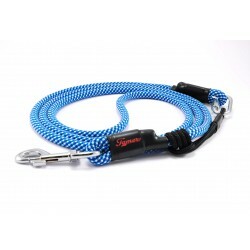 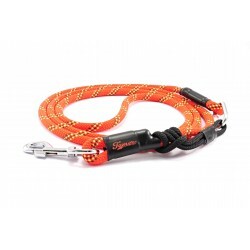 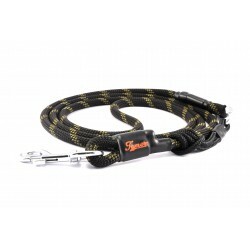 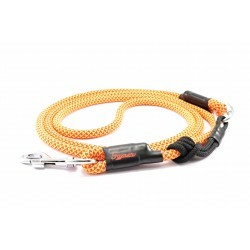 The patented sliding Easy long system enables to easily set the appropriate length of the dog leash for the dog training, only with three fingers. 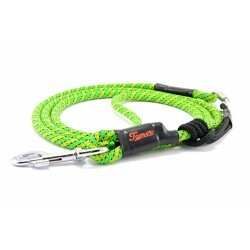 Rope diameter 10 mm. 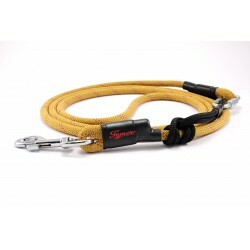 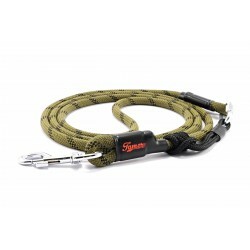 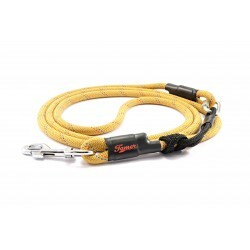 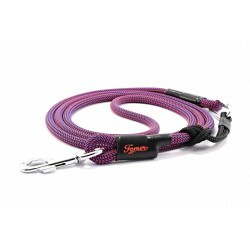 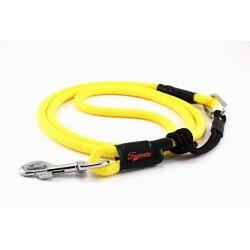 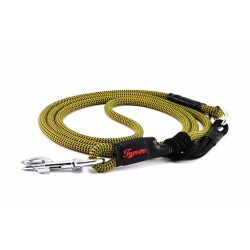 Tamer guides with patented sliding system allows you to choose a simple flick of his length. 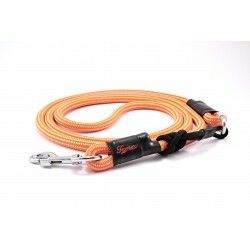 All guides are made from safe materials. 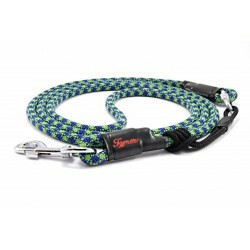 Do not let the dog bite joints , guide contains metal elements!